Get top-quality commercial tiles in Parkgate from the specialists. You would expect Wirral Flooring to stock Victoria Carpets in Parkgate. When you want to reduce the volume in your interior spaces get the best acoustic flooring in Broughton from Wirral Flooring. If you are planning on installing school carpets in Deeside there are a number of different elements to consider. At Wirral Flooring we want to introduce Forbo flooring in West Kirby to our customers. 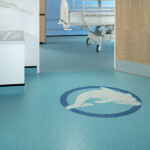 If you want a floor that is durable and beautiful then a Rhino floor in Hoylake should be seriously considered. With the amazing range available from Burmatex in Chester at Wirral Flooring, you can transform your interiors. Choose Victoria carpets in Wallasey if you are looking for a flooring that simply ticks all the boxes. Of all the many different types of flooring available on the market, linoleum in Raby can be regarded as the most reasonably priced.